7/06/2010 - It is one of many specified regulations in Decree No. 71/2010/ND-CP dated 23/6/2010 of the Government detailing and guiding the implementation of the Housing Law. Accordingly, organizations and individuals are eligible for home ownership in Vietnam and have legally proof of established house (new construction, purchase, receipt of donation, receive an inheritance, ...) the State shall recognize property rights that are not required to have the conditions on permanent residence, business registration in where the house is, unless otherwise purchase, lease purchase society house. In case, household and individual create housing through the transferee contract formation in the future in housing development projects before this Decree takes effect, the ownership of such houses is done under the guidance of the Ministry of Construction. State agencies carry out reconizing the house ownership through the certificates of land use rights, ownership of houses and other assets associated with land for owner in accordance law. According to this Decree, Vietnamese are residing abroad have right to ownership of house in Vietnam if under the subjects and meet the prescribled conditions in Clause 1 of Law No. 34/2009/QH12 on amendment, supplement Clause 126 of the Housing Law and Clause 121 of the Land Law. The duration of home ownership for Vietnamese who settled abroad are stable, long-term. 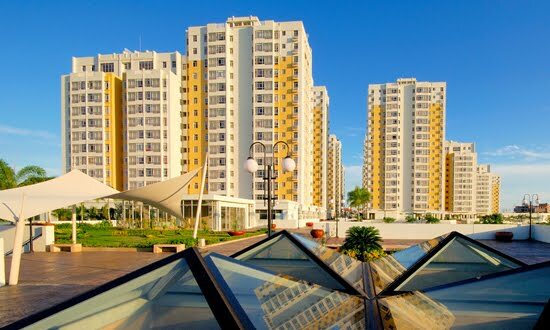 Organizations and foreign individuals when make investment in houses in Vietnam under the law of investment, they have right to own house under the Housing Law; in case, organizations and individuals buy houses in Vietnam, they have right to own house in accordance with Resolution No. 19/2008/QH12 on 03/6/2008 by the National Assembly pilot allows organizations and foreign individuals to buy and own house in Vietnam. This Decree takes effect from 08/8/2010 and replace Decree No. 90/2006/ND-CP dated 06/9/2006 of the Government detailing and guiding the implementation of the Housing Law .